In August 1968, the Soviet Union sent troops into Czechoslovakia to end the liberalising regime of Alexander Dubcek; the incident and its aftermath became known as the Prague Spring. The events in the Soviet bloc were part of an international wave of uprisings and movements throughout 1968 that would have a profound impact on the Australian Left. 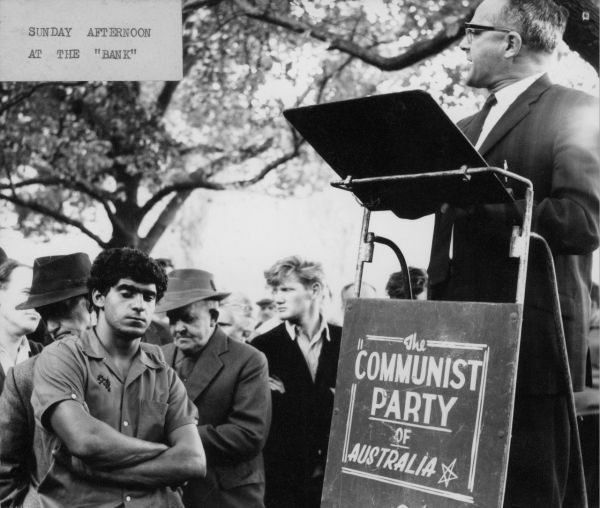 The Communist Party of Australia (CPA) was one of the few in the international movement to publicly condemn the Soviet action. CPA leader Bernie Taft knew Dubcek personally and was instrumental in convincing the Party to take such a stand. On the 50th anniversary of the Prague Spring, the University of Melbourne Archives is pleased to announce the opening of the Bernie Taft collection. The collection contains over 100 boxes ranging from the 1950s to the 1990s, comprising correspondence, personal notes, movement documents and much more. It will be one of the most significant collections on the history of the Australian Left to become available for research in recent years.